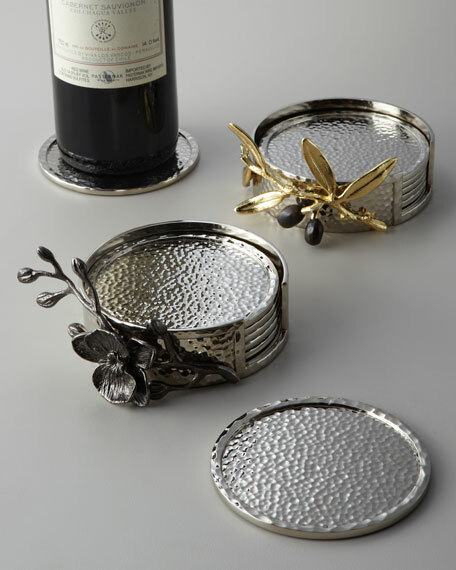 Black Orchid coaster set (shown in front) made of nickel-plated and black nickel-plated metal. Includes six 3.75"Dia. coasters and one 4.5"W x 4.25"D x 2.75"T caddy.